With the dust over key policy reforms such as RERA, GST, demonetisation, settling, residential sales and launches in 2018 increased year-on-year by 42 percent and 53 percent respectively across the top seven cities, says a report by JLL. The company launched its residential brokerage business to tap into the country’s growing housing sector on Wednesday. New launches touched 1.6 lakh units across Mumbai, Delhi NCR, Bengaluru, Pune, Chennai, Hyderabad and Kolkata. 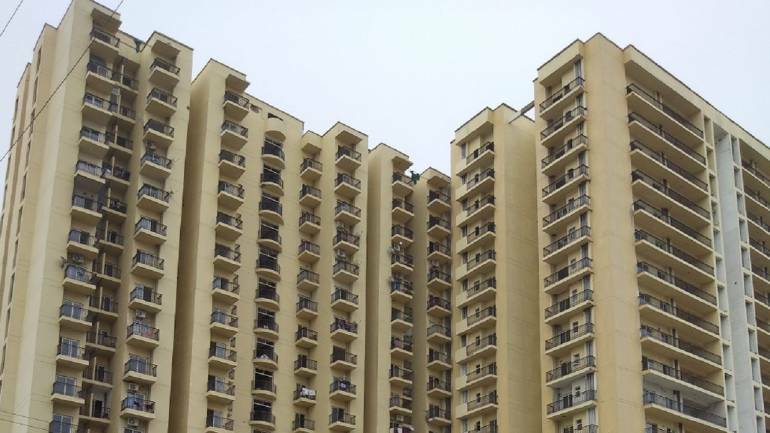 As many as 136,500 units were sold in the seven key markets during 2018 compared to 96,400 units sold in 2017, says the report titled India’s Resurgent Residential Sector – A Study of Top Seven Markets. “Our research shows that there has been a resurgence in sales with nearly 136,500 units being sold in the seven key markets during 2018 compared to 96,400 units sold in 2017. However, sales are yet to match the levels achieved in 2014 which saw an off take of more than 165,000 units. This clearly reflects the innate potential of the market to grow at a much higher rate in the coming years,” says Samantak Das, chief economist and head of Research & REIS, JLL India. Delhi NCR witnessed a 114 YoY percent surge in new launches, with the first half of 2018 contributing to a larger share than the second half. Enhanced infrastructure activity in certain micro-markets, coupled with government incentives for the affordable housing segment saw an increase in project launches, the report says. The report also reveals that a significant 39 percent of launches in 2018 were in the lower ticket size bracket of up to Rs 50 lakh, reflecting strong demand for affordable and mid-market housing. Bengaluru, Pune and Kolkata witnessed nearly two-third of the launches in this bracket, he says. As for prices, average annual income grew over 9 percent in most cities, while average growth in residential prices have remained at sub 2 percent levels. This presents a clear case of increasing affordability resulting from higher purchasing power and steady prices for buyers. Further, retail inflation hovering around the 5 percent mark in the past few years is benefiting home buyers, the report notes. New launches more than doubled in Delhi NCR during 2018, led by heightened activity in Gurugram and Ghaziabad. However, launches continue to be significantly lower than the momentum of around 70,000 units seen in 2014 as well as 2015. The strong growth witnessed in the first half continued in the latter part of the year as well, except Noida-Greater Noida, which witnessed a marginal dip in the second half of 2018 on a year-on-year basis. Interestingly, both Ghaziabad and Gurugram have gained significant share in new launches with their combined share increasing to 52 percent in 2018 from 35 percent in 2017. However, Noida-Greater Noida continued to form a majority of overall launches at around 40 percent. Noida-Greater Noida contributed significantly to the overall sales at 50-55 percent, distantly followed by Ghaziabad and Gurugram, the report says. JLL on Wednesday also announced the launch of its residential brokerage business that will offer a bouquet of technology-enabled advisory and transaction services to home buyers and developers. The bespoke business will be led by Siva Krishnan who brings over two decades of experience and has advised and managed a variety of residential real estate investments in India. The company will offer transaction services for new and resale residences in the mid to luxury range and will also undertake exclusive project marketing mandates.“With the launch of our residential brokerage arm, we aim to drive value and insight-driven decision-making for clients. We have observed commercial real estate to be the harbinger of residential development in most cities and this phenomenon is also a perfect analogy for JLL India’s growth story. Our comprehensive and diverse experience across various asset classes and markets coupled with continued confidence shown by the developer and investor community in our capabilities has been instrumental in the launch of our residential brokerage business in 2019,” says Ramesh Nair, CEO and Country Head, JLL India.